The Daily Bluapple: Ready, Set, FIND! Do you have plans to get a package of The Bluapple for yourself or as a gift this month? We have a "buy one get one free" game for you to play! Go out into the stores and find The Bluapple. Take a photo of it at the store location. Post that photo with the name of the store that you found The Bluapple at onto our Facebook wall. At the end of the week, we will choose 10 different people at random who will win a free package of The Bluapple to be mailed to anyone of their choosing, within the United States. Winners will be announced on Sunday morning, Dec 8th on our Facebook Wall. Already have The Bluapple or are unsure if you want to purchase it yet? We want you to play along too! No purchase is necessary to have a chance at your name being pulled as well. Just follow the same rules to be eligible. 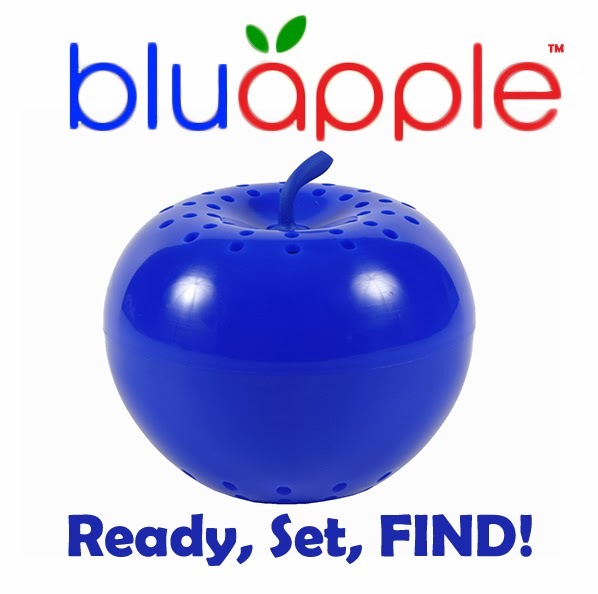 The Bluapple can be found at Bed Bath & Beyond, Whole Foods Market and other fine retail stores. 1. 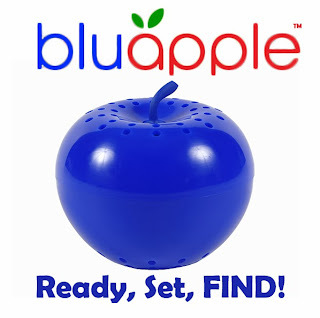 Find the Bluapple at a retail store. 2. Take a photo of the Bluapple in the packaging. If you are ready to save money, reduce waste, enjoy better tasting produce because it stays fresher longer, take the first step and purchase The Bluapple. You will then be entered into the contest! Share this page with friends so that they can have an opportunity to win as well.